July 1, 1941 was the first day that the world was introduced to TV advertising. 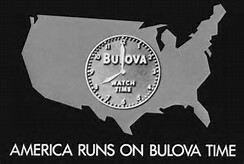 Bulova time ran a short 10 second ad selling its popular watches. The spot cost Bulova $9 to run. This single ad led to the growth of a now $45 billion being spent in the TV industry. It has also led to a boom in content available on both cable and broadcast. We now have access to billions of hours of content on our phones and hundreds of channels on our televisions vs. 1-2 in 1941. From a pure business perspective, the explosion of content we have seen can be tied to the money potential that is available in both television and entertainment. As long as advertisers are willing to fork out $6 million for 30 seconds of Super Bowl time, we consumers will continue to see effort put into serving content digitally on our phones, creating new content, and advancing the technology from its current state. These are all good things for consumers. The majority of the population sees advertising as the annoying 2 minutes in between 10 minutes of content that we actually enjoy. We delay watching our favorite shows or sporting events so that we can skip the commercials that make the content possible. There has even been an increase in ad blocking digitally. According to a recent study from Adobe and Pagefair, ad blocking will lead to almost $22 billion in lost advertising revenue this year. With that much lost revenue there will most definitely be a decline in the amount of money content providers are able to invest in technology, infrastructure, and content for digital consumption. That means a slowdown in the move to every episode of every show available digitally and a continued reluctance to move to an ala cart type model. For those pointing to Netflix as an example of no advertising success, do be fooled too much. The biggest advertiser on Netflix is itself. I can’t ever recall seeing an advertisement for House of Cards during a Broncos football game on a Sunday, but the trailers (ads) will be coming to a Netflix near you. Advertising is a necessary evil. I think an interesting concept to look at is what is currently employed by soccer. The sport of soccer has two 45 minute halves, without natural breaks like with other sports. 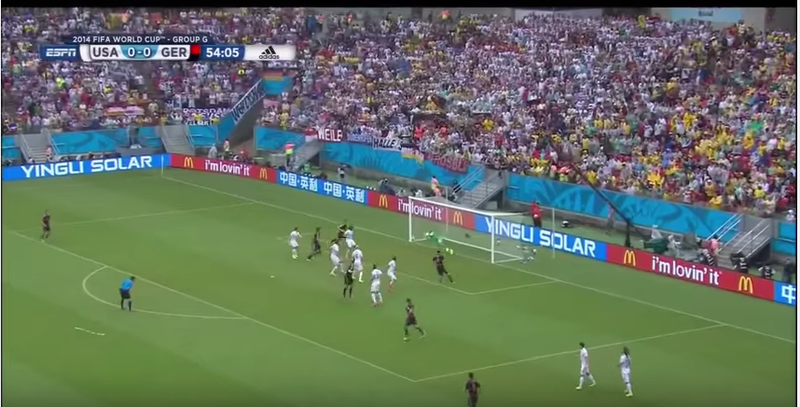 So instead of TV timeouts, you can see the logo of the brand as a sponsor for commercial free soccer. This could provide some potential for dynamic targeting within digital video, where you would see a commercial free TV “sponsor” from a brand you may have potential to buy. Digital is the new frontier and provides a great opportunity to re-invent how advertising is viewed by consumers, even if they are “subscribing” to avoid commercials. I am enthused to see what Madison Avenue can come up with in this era, but it’s hard to imagine anything better than American running on Bulova Time. Commentary on social networks is my own and does not necessarily reflect that of my company Adobe. People wanna talk about ROI of social? Boom. Copyrights © 2015 Joe D. Martin. All Rights Reserved.